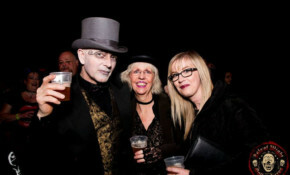 Be transported away from the humdrum of everyday life, as the Isle of Wight Gothic Circus Festival offers three days and nights of all that is great about steampunk and gothic entertainment. Fun for all the family. The inspector said teaching was not good enough and ‘confused’ pupils did not make enough progress, but the Executive Headteacher said that staff and pupils had worked extremely hard and the inspectors recognised the strengths in the school. The Isle of Wight Garlic Festival is food and entertainment at its very best. A vast array of eats, treats, sights and sounds to suit all tastes and ages help make this one of the Isle of Wight’s most popular family events. A diversion is in place following a road traffic incident that took place outside the House of Chilli this morning. Island Roads are working to remove the fallen tree from the carriageway. Until it is cleared a diversion is in place. New measure will see no queueing in advance of the tip at Lynnbottom opening at 10am. The slip road will open for access once the tip is open. Diversions are in place which the vehicle is recovered from Downs Road, Arreton. As recently reported by OnTheWight, UK Oil and Gas confirm they've given up the licence for oil exploration off the coast of Compton but say their sights are now set on drilling in Arreton from 2019. Officers are appealing for information after vintage signs were stolen in Arreton on Thursday, as well as £1,000 worth of specialist tools from Shorwell the same day. If you get caught up in the diversion on Tuesday evening and want to head to the other side of the village, it could take you half an hour. A Flood Alert for the Eastern Yar and tributaries from Whitwell to Bembridge has been issued by the Environment Agency. Police report crimes figures during Bestival. A staggering £175,000 of illegal drugs were seized, including 14,000 Nitrous oxide (Nos) canisters.